It is with great excitement to announce Technidyne's 2016 Agent of the Year winner is CLC in Bangkok, Thailand. 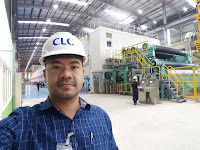 Ankrin Kaewpralom, General Manager, at CLC was notified that he is the winner of this award which has become an annual prize. 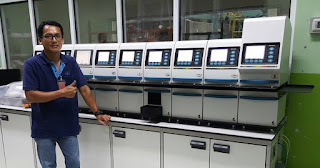 We recognize that CLC under Ankrin's leadership has successfully sold equipment, provided service and calibration standards. CLC also sent several people for training in the US in August 2015 to the Technidyne International Sales Meeting. 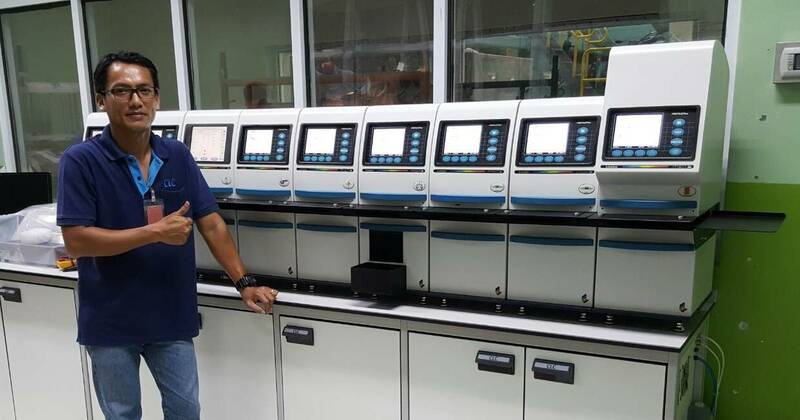 CLC partnered with Technidyne to install a 9-module PROFILE/Plus automated testing system along with other equipment and environmental controls at Vina Kraft in Vietnam. All of this makes CLC a great example of what Technidyne is looking for as an agent. a free quarterly subscription of calibration standards for 2017. Congratulations to Ankrin and his team and good luck to all of Technidyne's Agents as they move forward in 2017. What if I get negative fluorescent component? Recently a customer was measuring samples and asked, "If I have a negative fluorescent component, is it real? Should it be zero?" As usual, the answer is not so clear. Why is this? 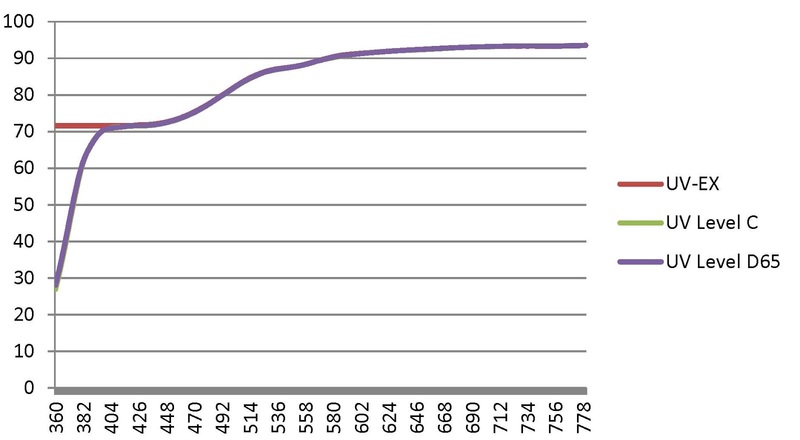 The cutoff filter is active at 420 nm. 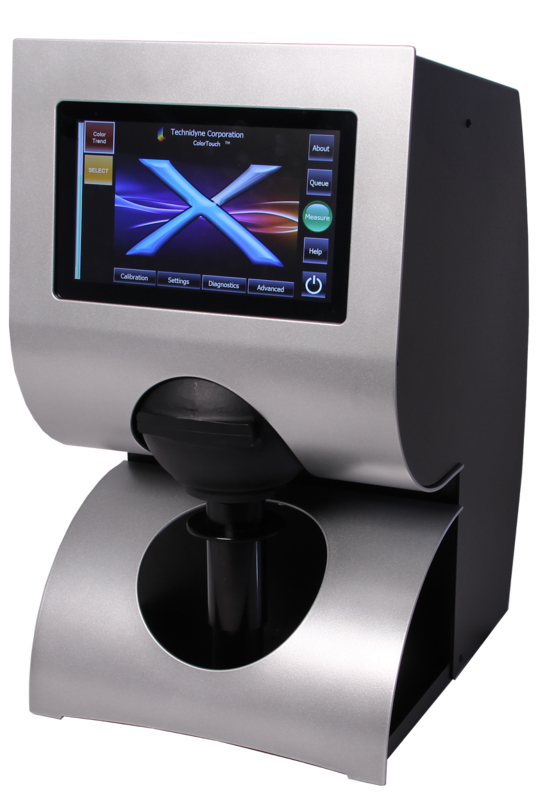 Therefore, data below 420 is essentially not available in the UV-EX condition, The recommended procedure for handling this is to simply replace the values below the 420 nm cutoff with the same reflectance value. 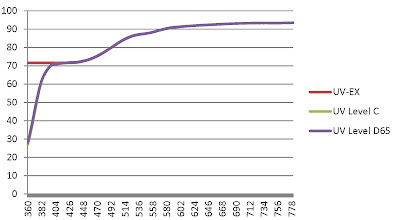 This can be seen in the following graph. Since the reflectance values from 400 to 500 nm wavelengths are used in the calculation of brightness, it yields a negative fluorescent component. So, back to the original question, is a negative fluorescent component real? According to the directives of ISO 2469, ISO 2470-1 and ISO 2470-2, the fluorescent component is negative and should not be zero. However, just as there can be some intrinsic fluorescence (from the raw fibers without any chemicals added), there can be a small negative value due to the procedure used to measure fluorescent component. Therefore, when fluorescent component is in the rang of +/-0.25, it is effectively zero. As we wrap up another successful fiscal year in 2016, we turn our attention to the possibilities and goals set for 2017. There is great room for optimism in 2017. Two new products, TEST/Plus Caliper and TEST/Plus TAPPI Opacity, were released in the second half of 2016. The Color Touch X and the TEST/Plus Gloss, released in 2015, have started to make their mark on the worldwide Paper Industry, and there are far more products coming to the market in 2017. The establishment of CalStandards.com as a resource for people looking online for lab standards and tools has continued to develop. Our staff continues to grow geographically to help us continue to respond quickly to customer demands, especially in North America. Partnerships with Techpap, ACA and emtec/AFG resulted in our best overall performance for their unique solutions and increasing coverage for service. We are putting the finishing touches on our goals for 2017. We are excited and energized by the continued possibilities. We have great employees who get to work with outstanding agents and engaging customers around the world. 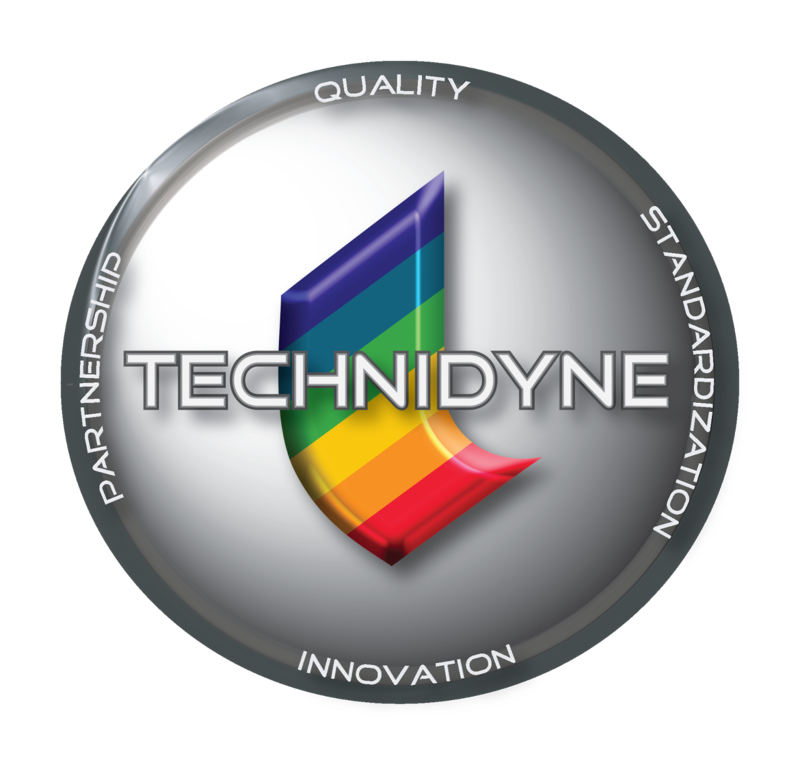 Contact us to see how a partnership with Technidyne can enable us both to reach even higher in 2017 to meet the challenges of our customers around the world.